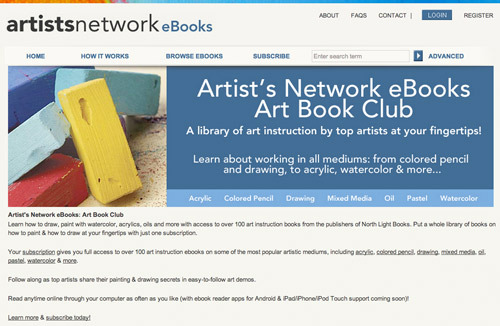 Have you come across F+W Media Artist's Network eBooks: Art Book Club yet? Being in the publishing trade right now must be extremely challenging. Traditional publishers of books and magazines are having to run hard to keep up with speed with which the online publishing business is shifting. New ways have to be found to get people interested in paying for books - especially when some artists now write, produce, publish and market direct to their readers - effectively cutting out the middleman aka the publisher! the pricing strategy and subscription level - both of which I think are wrong. Zeen - YouTube messes with copyright again? 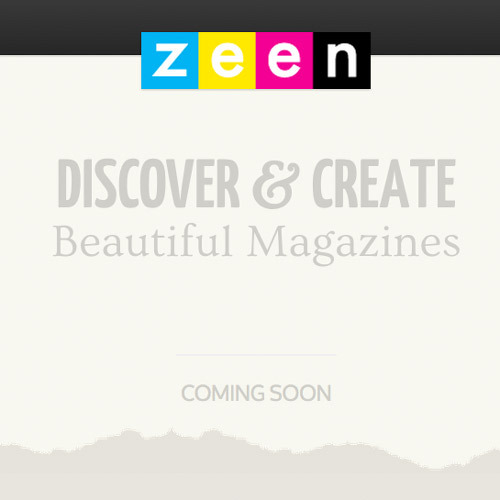 A new magazine site called Zeen is being developed by the YouTube Founders. It may prove to be as much of a nuisance and copyright challenge for artists and photographers as Pinterest has been. In essence, YouTube is building some sort of magazine site. The interesting question is where is all the content going to come from which allows people to build their own magazines - and how much of the information in the magazines is going to be shared ie published. This is the text of the email I received this morning. The first sentence tells me that this person has not looked at my blog at all and this is a complete load of guff! First off, I wanted to say how much I’ve genuinely enjoyed browsing through “Making a Mark.” I’ve been researching art and your work is some of the best I’ve seen out there. That's why, after getting lost in your site, I wanted to reach out to you. Even though we’re still in stealth mode, and we have yet to do any press outreach, we’ve already received a lot of great coverage speculating about what we’re up to. It would be great to have you onboard as one of our beta creators so you could see what’s going on before anyone else. Hope to see you on Zeen! And here's hoping the general Internet population doesn't launch 6,000 different cat magazines once Zeen goes live. The thing is - the PC Magazine articles either isn't being read by people (unlikely?) or it doesn't appear to be taking any comments. At least there's no credible comments on the article and mine wouldn't publish this morning. Which is odd. How credible is that? So is the article actually a bit of PR fluff? So here is my comment that I tried to leave at PC Magazine again - reproduced below. I got my beta invite this morning - with all the normal gushing up front about what a remarkable blog I have. I can't think of anything more guaranteed to make me decline to participate. So is this going to be yet another site - like Pinterest - which says one thing in its terms of service about "all the content you upload must be your own" and, in practice allows anybody to allow copyrighted material from around the net? Photographers and artists are getting very fed up with having their work stolen. Are they paying attention to the way that Pinterest is being clobbered with DMCA notices all the time and has had to revise its TOS? Are YouTube paying attention to the results of the recent Court action re YouTube in Germany - which YouTube lost (see http://www.bbc.co.uk/news/technology-17785613 ) - where the Judge ruled that they can be held responsible for copyright infringement if they don't take effective action to stop it? YouTube now faces "a huge bill for royalties"
I predict that if these are such wonderful income generating applications that it won't be long before the invoices for fees for unauthorised publication will accompany the DMCA notices from those whose copyright has been infringed. Maybe the rollout of this application will be a little longer than originally anticipated? For those who are wondering about what artists and photographers - and various commentators - had to say about Pinterest and its "allowed lifting" of copyrighted content see my site - Pinterest and Copyright - for Visual Artists & Photographers. Pinterest has got very good at removing copyrighted content - but the primary issue remains that it should not be there in the first place. Hence there continue to be a variety of concerns about Pinterest which don't look like they're going to go away anytime soon - unless artists and photographers start serving Pinterest with invoices for the licensing fees required for publication of their content. I wonder if I'll need to start a new site for Copyright issues re. Zeen? One thing is for sure - there is no way that the majority of authors of copyrighted content are going to allow major moneymaking machines like YouTube to profit off their endeavours with no "pay for view" involved. I think it's about time for us all to get business-like about copyright theft. A fascinating video of Dominique Sennelier talking about the Sennelier colours and products in one of the Sennelier shops in Paris. Dominique is the grandson of Gustave Sennelier who started his art supply store in 1887 close to the the most famous art school in Paris, Ecole des Beaux-Arts. At the beginning he only sold colours made by other manufacturers before deciding that he needed to start making his own. Various media are discussed in the video. Mr Sennelier mentions that the soft pastel range has "only 579 colours". The oil stick they created was originally made for Picasso. The formulation for egg tempera is very old as this was a very traditional type of paint and was used before oil painting. See also my post Making a Mark Reviews: Art shop review: Magasin Sennelier, Paris. 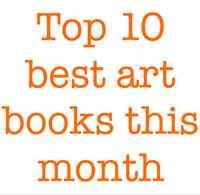 Here's the link to my website - Makingamark's Top 10 Fine Art Books - which has been wholly revised to list the top rated and best selling fine art books in March 2012. Initial impression, sat at my desk, are very favourable. 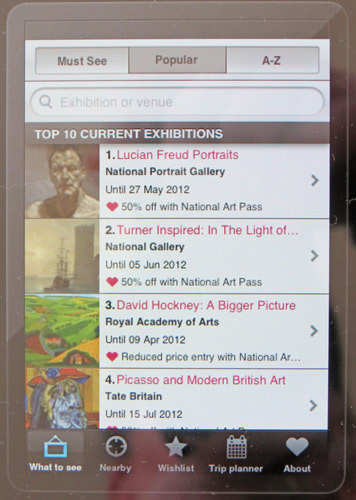 It looks like it's a very useful app for all those visiting exhibitions on a regular basis. It provides listings of current major exhibitions and even has a "popular" tab providing a top ten list of all current exhibitions. "trip planner" enables you to identify what's on in an area you are planning to visit. You can identify location by post code and then identify exhibitions / galleries and museums within a defined area (you choose the mileage). It also prompts for different mileages. Passionate about art? This free app is the ultimate guide to seeing and experiencing art across the UK. The Art Guide brought to you by the Art Fund helps you discover world-class exhibitions, museums and stunning country homes near you. According to the Art Fund the android version is in the works and coming soon. I shall certainly be downloading it to my Samsung Galaxy. The app is looking a bit small and lonely on my iPad as it's obviously configured primarily for the iPhone and iPod. I do wish both developers and iTunes would be more explicit about those apps which are "available" for the iPad and which ones are "designed for" the iPad! Primarily this is an iPhone app which has been made available on the iPad. It lacks iPad functionality (eg there's only one way you can look at it and it doesn't turn as you change the angle of the iPad.) I'd like to see an upgrade happening very fast to get this app fully sized for the iPad. The good thing about 2012 will be that it will go down as the year when self-publishing really took off. The bad thing about 2012 will be that it will go down as the year when self-publishing really took off. In other words, anyone can now publish a book - and anyone is. however an Amazon listing is no longer any sort of indicator that the book is any good. The filter which the publishers used to exercise has now effectively been removed. Amazon also doesn't appear to think it necessary to exclude books of an "adult" nature from its listings - and I don't mean "artistic nudes" - I mean graphic top shelf content. All told, it's beginning to feel more and more as if I'm wading through treacle due to the amount of dross which is being produced. However in amongst the dross are some gems! The Art of Urban Sketchers which was published on 1st February sold out straight away and went straight to reprint. It looks set to stay at the top of the charts for quite a while. 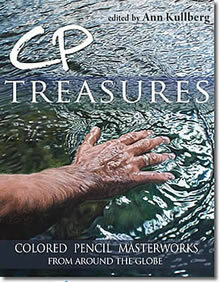 Ann Kullberg has written and published a new book CP Treasures: Colored Pencil Masterworks from Around the Globe (Volume 1). 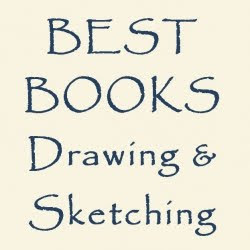 To my mind this reinvents the "Best of Coloured Pencil" books which have been so very popular in the past with coloured pencil artists and yet no publisher would continue the series. There are books which look like they might be little gems on niche topics - like one on silverpoint drawing. Now there's a topic which would never have got a book deal with a major publisher and it's great that the advent of digital books enable us to learn more about niche interests and techniques. Obviously since I'm highlighting new books, I've not seen them all. Consequently I do recommend you look very carefully at the reviews rather than taking star ratings at face value. Do also bear in mind that there's an awful lot of people with not much experience handing out five star ratings to books which are not very good. I don't rate. For example, I've never seen a drawing book by Barrington Barber which I would ever consider buying. Let me know what you think about this month's list.